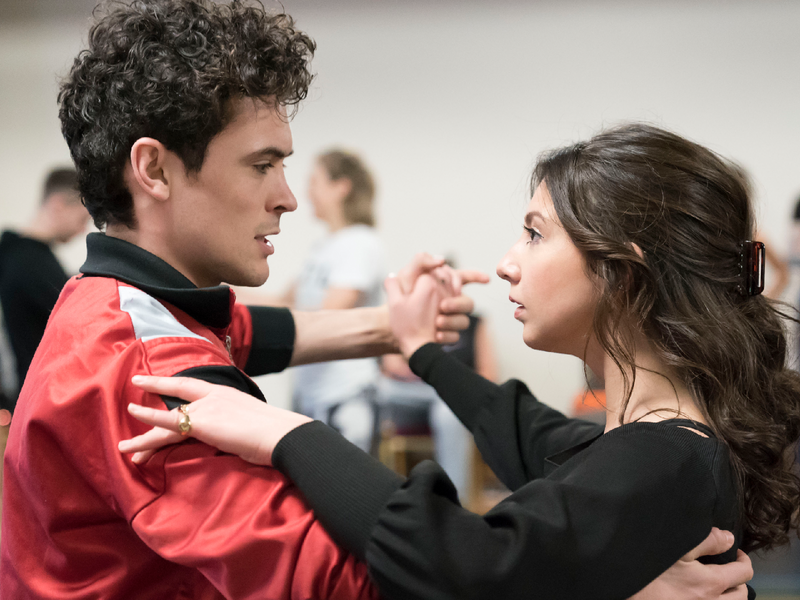 Full of passion, rebellion and incredible dancing, Strictly Ballroom opens in London on 29 March 2018! If you’ve never seen Baz Luhrmann’s original film the show is based on, a) you should definitely watch it as it’s great, b) you have no idea what a treat you’re in for. 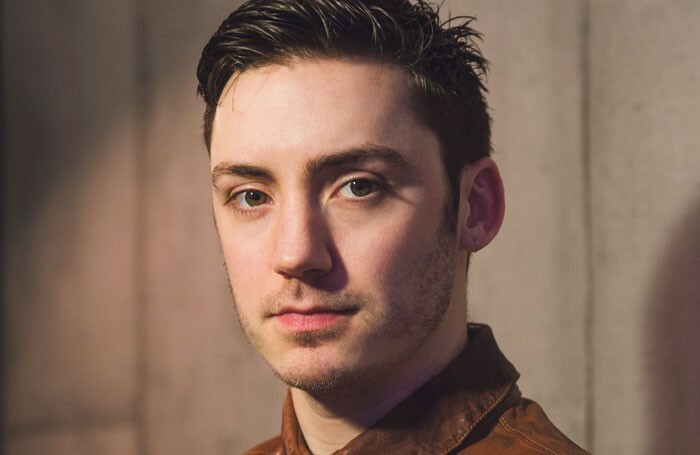 Scott (Jonny Labey) is a talented, passionate young ballroom dancer who wants to modernise the scene with his fresh new moves. When the Australian Federation frown upon his style, he winds up paired with a dancing newbie, Fran (Zizi Strallen). Can the pair learn from each other and rise to the top and win a ballroom competition? 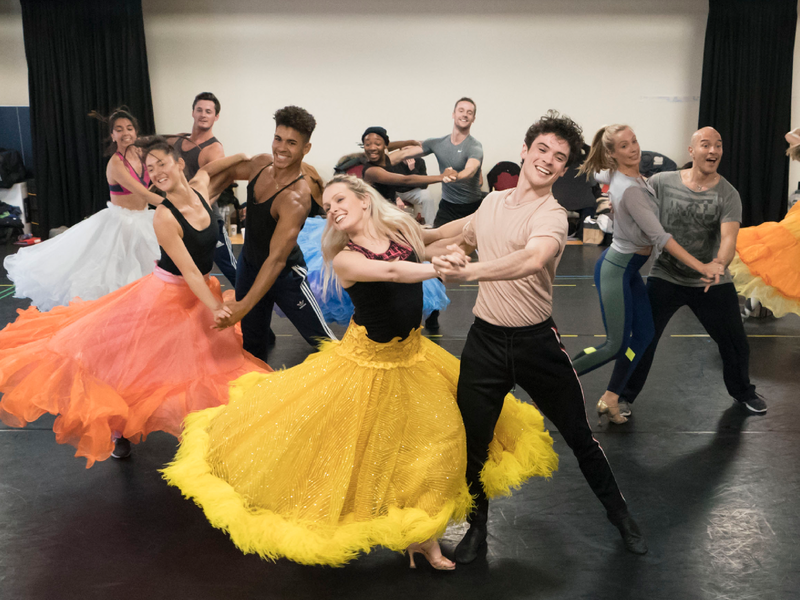 If all of that wasn’t enough, here are five reasons to see Strictly Ballroom! Plus, you can get £25 Rush tickets for it! You can see Will Young on stage! The delightful Will Young will be playing a part added into the show, that of the band leader. At a recent preview event, Will sang a few songs that will feature in the show, including ‘Time After Time’ and his beautiful voice alone is worth a ticket! After Scott and Fran are paired to be each other’s dance partners, Scott is initially frustrated at having to lead such a ballroom beginner, while Fran teaches Scott about her Spanish roots and the dances that are in her blood. You could cut the sexual tension between these two with a knife as their romance blossoms, growing ever closer through dance. Strictly Ballroom doesn’t feature strictly ballroom dancing, it also showcases a killer flamenco performance by the insanely talented Fernando Mira. If you feel that ballroom dancing isn’t for you, or you only know what you might have seen on TV, let this show give you a live experience like no other and a taste of other dances you don’t see in musical theatre. If you like your shows with a bit of sparkle and glamour, Strictly Ballroom has got more sequins than you can shake a stick at. The glamorous gowns of the ballroom dancers as they float across the stage are stunning, with feathers flowing, sparkling headpieces and heels for days! They’re all created by the multi-award winning costume designer, Catherine Martin. If you’ve caught some of Drew’s recent shows, you’ll know he puts on high-energy productions that are a treat to watch. In 2017, you might have seen On The Town or The Wild Party or heard about his upcoming Broadway show, a musical version of King Kong. He’s a skilled choreographer who even competed in So You Think You Can Dance?, and you can learn more about Drew with our Closer Look. Book your tickets or unlock £25 Rush tickets to see Strictly Ballroom, playing at the Piccadilly Theatre. Related blogs: The Strictly Ballroom preview event.